We at Tall Slim Tees know what it is like to be the one in the room that towers over all the rest. Being tall comes with as many advantages as it does drawbacks. You may be able to see over the heads of crowds or reach the tallest shelves in the store. Yet finding clothes is a nightmare, there is never enough room on flights and your feet stick out of the bed. But even we can’t imagine being as big as these people. 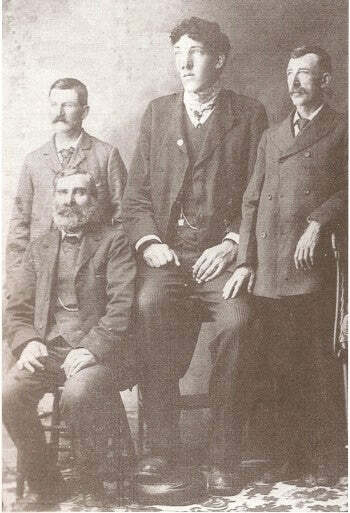 Here are the five tallest human beings in history. 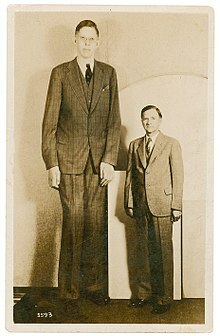 Robert Wadlow (8’11) – Back in 1918, the birth of Robert Wadlow in Illinois, USA caused quite a stir. But it it was nothing to what a shock it would become when he grew to 8’11, making him the tallest person to ever live. John Rogan (8’9) – In 1986 John Rogan was born in Tennessee. But it was not until he hit puberty that anything would begin to seem unusual in his growth. He shot up like a sprout and just kept going until he reached 8’9. 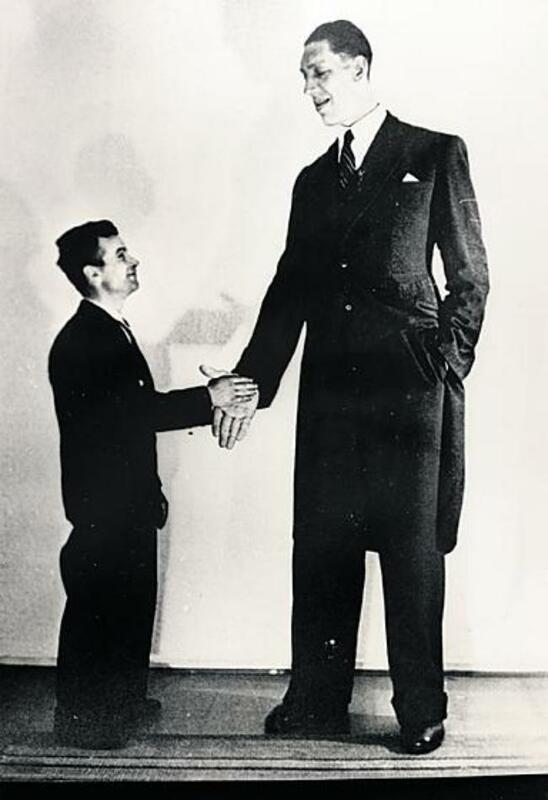 John F. Carroll (8’7 ½”) – In 1930’s New York another man came into the world who seemed to be of normal size. 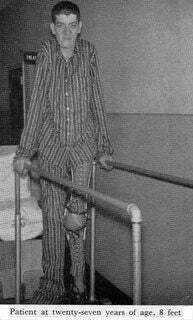 At 16 he started to grow taller and taller, which was unusual enough. But he kept growing until he died at the age of 37. Väinö Myllyrinne (8’3) – Finnish man Vaino Myllyrinne was quite a spectacle in the early 1900’s and not just because of his height. His entire body was large (though he was technically slender), with a large head, massive hands and many other unusually sized features. The image of him standing beside an average sized man has become an iconic one. 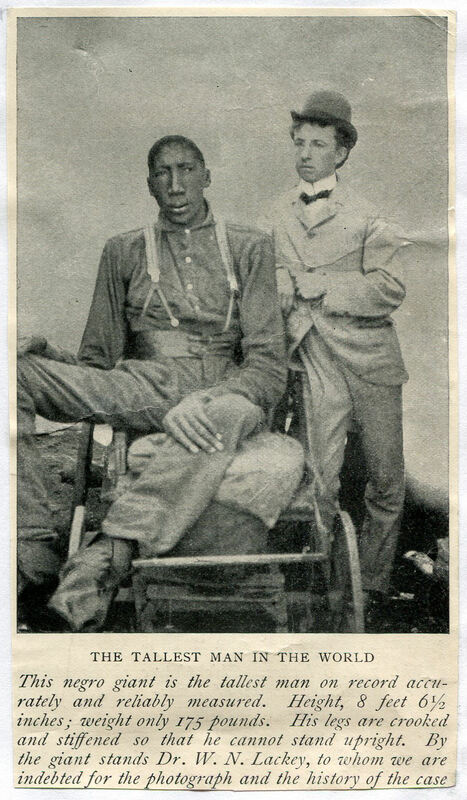 Edouard Beaupré (8’3) – Living his life as a circus act, Canadian Edouard Beaupre was not only very tall, he was also very strong. He could allegedly lift farm animals such as horses and cows over his head. Because of that strength and the sheer magnitude of his frame he was a popular attraction for Barnum and Bailey’s. Find shirts to fit your unique frame at Tall Slim Tees.